Nothing quite says summer like fresh herbs. Homegrown fresh herbs too! I am not at all what I would call a skilled gardener – so I really appreciate things that are easy to grow. I love to put herbs on just about everything! Pizza, salad, meat. I even flavor homemade kefir in a second fermentation to make cheese with it. 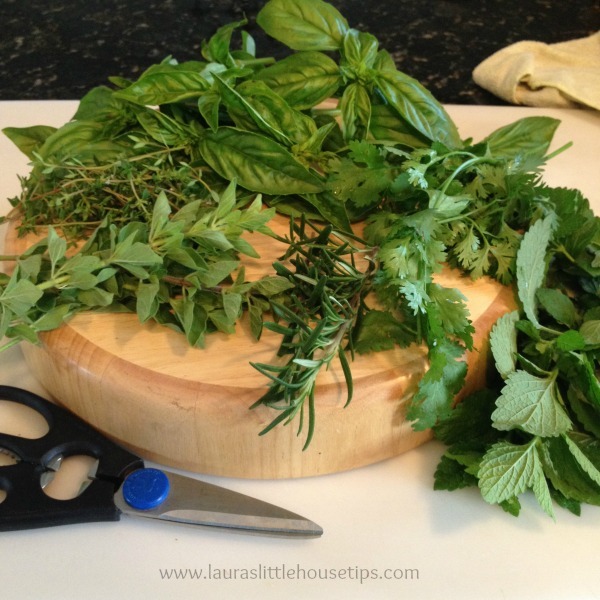 Fresh herbs are a wonderful aromatic addition to any meal. There’s a time and a place I suppose for drying fresh herbs, but there’s just something special missing in the end result. They lose their brightness and flavor intensity as well as their texture. Fresh herbed salt is a fantastic option to have on hand when you’re cooking and obviously you can choose the type of salt you’d be prone to cook with! This salt is a Celtic, high mineral content, very coarse salt. I love to use it in prepping meat for the grill. Shown above is thyme – minced and mixed with the salt. 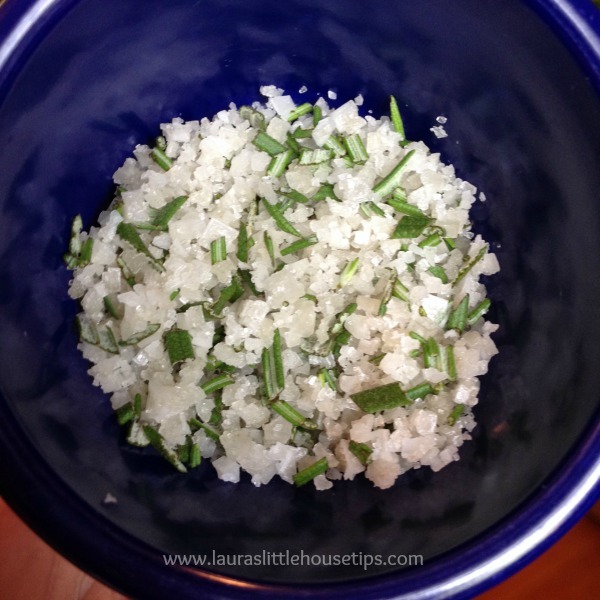 The salt preserves the thyme and the thyme adds an amazing flavor to the salt! Basil. Who doesn’t love basil!? 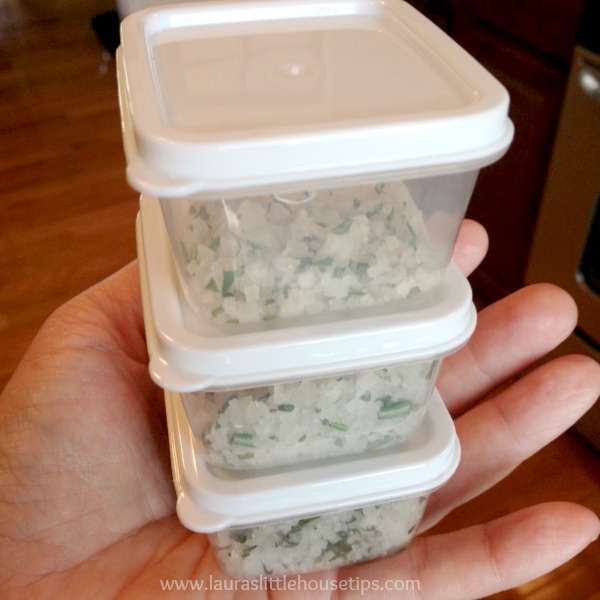 I found these perfect little containers – set of 12! – at my local Dollar Tree. I use them for seed storage, condiments for lunches, and herb/spice combos. Herbed butter is not only wonderful to have on hand for the dinner table, but it’s great to pull out for making a quick sauce, or even as a gift -tucked into a basket with fresh bread or biscuits – maybe include a hand-quilted pot holder! For herbed butter, when using basil and lemon balm specifically, you’ll need to blanch these herbs first. The enzymes that cause deterioration in plant material survive the temperature in our freezers, so the blanching will help the herbs to retain their color and texture much better. 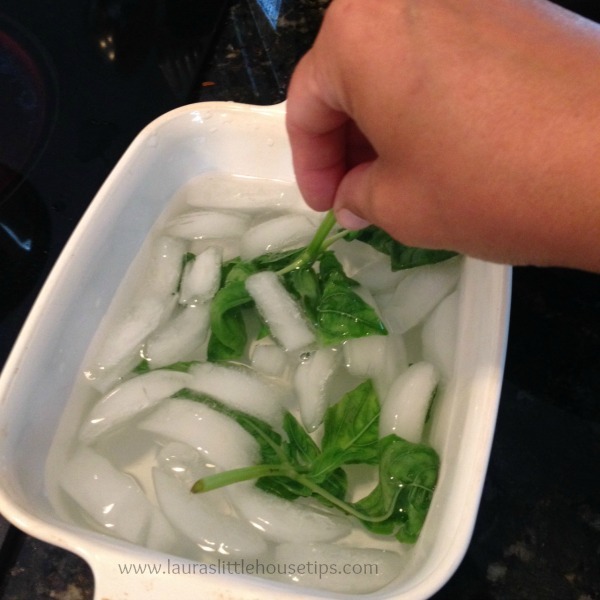 Dip the herbs into boiling water for one to two seconds just until they wilt. Then you will immediately chill them in an ice bath, and lay out to pat dry. 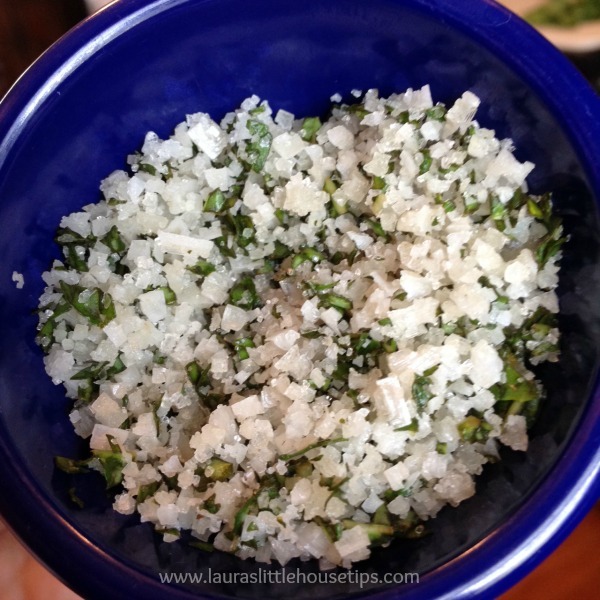 Mix your minced herbs with your butter brought to room temperature. Other herbs like cilantro, thyme, rosemary, and oregano do just fine without blanching. Label. Store in freezer bag in the freezer for up to six months! You’ve got month and months of fresh beautiful herbs just waiting for your dishes! Herbed oil is so great to have on hand for cooking – just to drizzle over bread or pasta or roasted veggies. What are your favorite herbs to work with? Do you have any tips or tricks to preserving them? 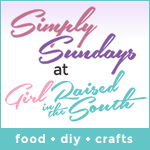 We were featured on Simply Sundays at Girls Raised in the South Link Party! These are great ideas! Herbs add so much flavor to salt, butter, oil — yum! love the idea of herbed butter, I have some basil that I need to do something with and have already made ice cube pesto. Wow, I never would have known how to do this, so thank you. I love adding fresh herbs to well, everything!! This is SO incredibly helpful! We just joined a CSA and I am loving all the herbs, but being a novice with handling them I’m not quite sure what to do. Yesterday’s rosemary already smells amazing in olive oil. I can’t wait to enjoy it! Good for you Jessica! I am such a rosemary addict… herbs are just amazing! Thanks for the great tips! 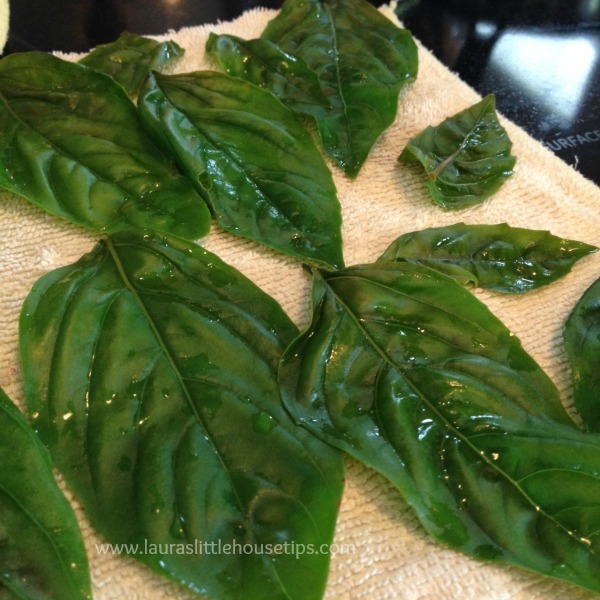 I have a ton of basil growing in the garden right now. I am planning on making pesto and freezing it so I can enjoy it all winter long. I’ll be over this winter, Jen 🙂 YUM! I’m just imagining all the possibilities for these recipes. The chicken, sea food and even beef recipes that will be so flavorful because of these. Thanks for the recipes and ideas. I always have an abundance of herbs and spice each year and some goes bad because I don’t preserve it-thanks for some great ideas so we can preserve and not waste! You’re welcome! 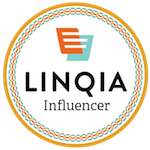 – dried just cannot compare! Thanks for the feedback! I never knew you could do this with fresh herbs. So glad to see this. I love using fresh herbs. I absolutely love these ideas – I had never thought to do anything like this before, and I always end up with wilted/dead herbs because I don’t need as much as I buy. Definitely bookmarking for later. The only one I have planted this year is mint. I use it up so quickly in my smoothies that I don’t know that I’ll get to preserve any! A girl can hope, right? Ohhhh my mint flopped this year Virginia. I don’t know what I’m doing wrong. Great tips on preserving herbs , Ive never seen Celtic Salt thanx for sharing. 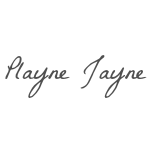 christy karch recently posted…“LIVE HEALTHIER” Family 6-Pack – $86 Value! Giveaway TBA!! You can use any salt, christy. Course kosher salt is fabulous for grilling too. You’re welcome Maria… thank you for stopping by! 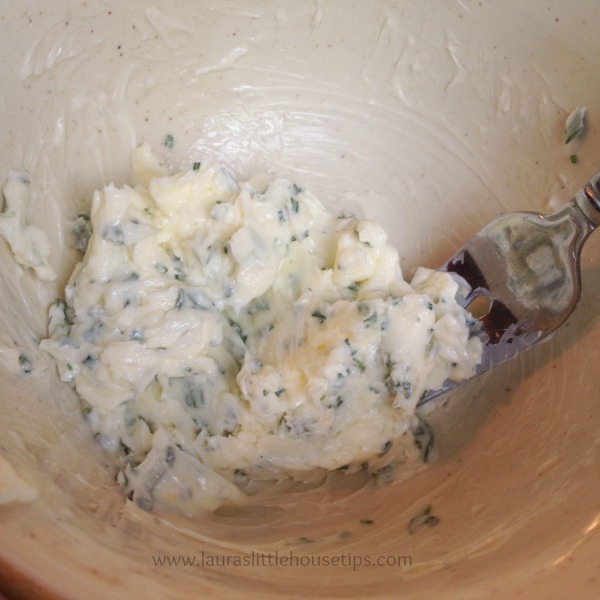 This is a great recipe for herbed butter. Pinning for future use! Thank you very much Cyndie… we so appreciate the pin!!! Fabulous ideas! I’ve never heard of herbed salt until I read your post. It looks so pretty – almost like edible potpourri. Thank you Jazmin. I should really start another batch my herbs are growing so much! good ideas! i love herb butter, it’s making me hungry! My work here is done Janelle. lol! Wow this is great, I didn’t realize it was so easy. Fresh is always so much better than dried! 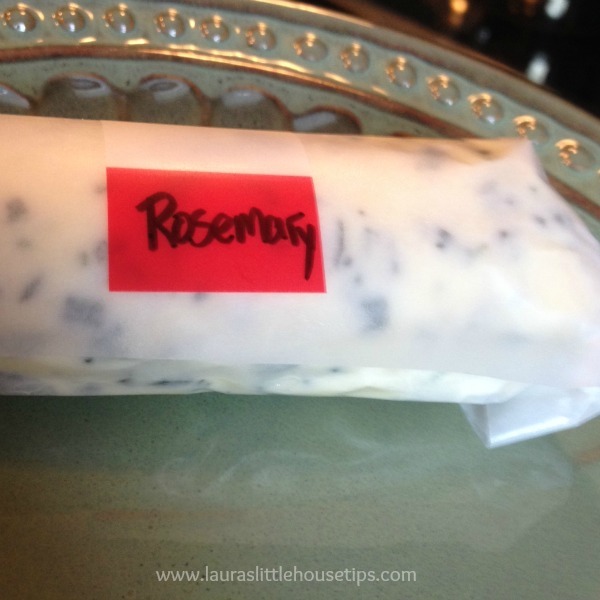 Love the herbed butter idea! We haven’t tried that and hubby grows a lot of herbs in our back yard! Great tips! I’ve been sad to see my cilantro kind of fade out. Not sure if I do something wrong or if it’s just not a warm weather herb. My thyme is struggling too. Been thinking about trying a few indoors for the hot months Annie. 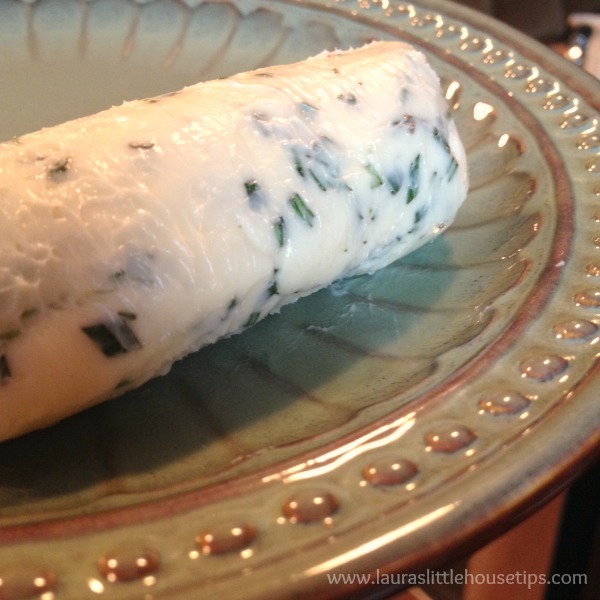 i’m totally making some basil herbed butter this weekend. fab idea! 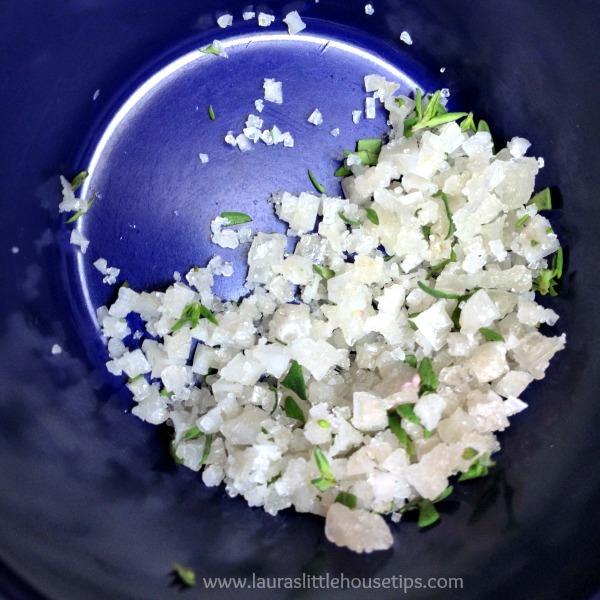 I showed my hubby your post…we are definitely making our own herb salt! So easy and money saving. Aw, thanks Debbie! (and Debbie’s husband:) It always makes me want to GRILL!!!! I used to make herb butter. Been a while and I need to make some. Thanks. I know it’s great to cook with Debbie, but I can’t seem to get past warm bread. hahahaha! Thank you for that great tutorial. I’ve never done it myself but it is good to know how to do it if I ever have to. Good to hear you found it helpful Amanda… thanks! I love to use fresh herbs in cooking!! I am definitely going to make that herb butter! I have so much basil that I don’t know what to do with it. Now I do! What a wonderful job he has. How lucky are you? I’d say very lucky! 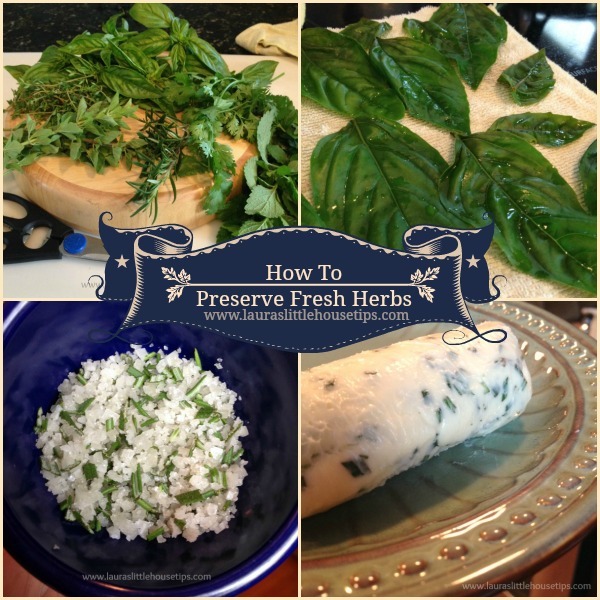 Your welcome I hope our tips because a part of your home and the way you preserve herbs. We love it! These are such great ideas. I have a vegetable garden but never thought to plant herbs becuase I knew they could not all be used. I waste money when I DO buy fresh herbs because again, I never use it all. I will be trying the herbed butter soon. Thank you for sharing with us on our Welcome Home Wednesday Link Party! I hope that you will come visit again next week! This is great! I wish I had better luck growing my herbs this year. I just purchased a grow light, maybe over the winter months I can give it another try. Maybe I’ll have enough that I can use your tips!